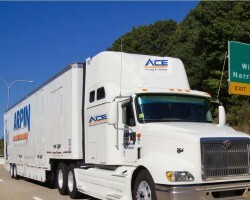 As Ace Moving & Storage has been serving the DC area since 1990 they are able to offer completely specialized services. They are ready to help with all of your moving needs including transporting more difficult items such as a piano. There is no other local moving company that has this level of certification. The Ace Moving & Storage team members are experienced office movers; military move experts and the entire company is also great at moving senior citizens including offering a discount for their services. There are no other moving companies in Washington, DC that provide the same level of personalized customer service that Athletes Movers does. This professional team has been serving their local community since 2005 and has built up relationships with a huge number of the city’s residents. 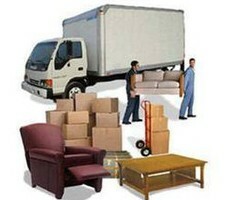 These movers and packers offer a set local residential relocation rate that comes with no hidden extras. They are also available to offer the highest quality of nationwide moving services as some of the most competitive rates. Washington, DC is one of the most competitive realty markets in the country and as such there are a huge number of moves within the area. Olympia Moving and Storage have been there for their customers for many years and have always provided flawless services. In addition to providing some of the most affordable moving prices in the area this company also have some of the most useful storage solutions that will keep all of your possessions, that aren’t coming with you, safe. If nothing else it is the amazing reviews that will convince you that DC Top Choice Movers are the best option when you are changing apartment, house, commercial property or office. The reason that this service has been able to gain such a reputation is because they always put their customer’s satisfaction first. This means that you can guarantee that you possessions and furniture will arrive at their destination in the exact same condition that they left. In addition to their great service they offer amazing discounts, which makes them a cheap yet high quality alternative. 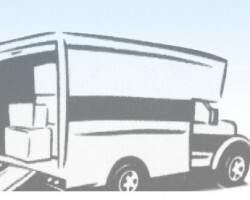 For house movers that have a great reputation, low prices and a high reliability then you shouldn’t look any further than My Guys Moving. This team is experienced in both local moves as well as longer distance ones. Additionally this service has conducted a huge number of both residential and commercial moves, which means that they are ready and able to relocate all types of furniture and equipment. Calling these Washington, DC movers directly is the quickest way to get a free quote of their affordable rates. We are a family owned moving company Best Movers Service LLC that has been providing professional moving services since 2010 with experience in entire metropolitan DC Area , Maryland and Virginia . " Moving without hassle and worry ” is not just a motto , but a fundamental principle of all our activities . Being one of the leaders of the capital moving market , we do not stop at what has been accomplished , but are constantly improving ourselves - we increase the level of our service and optimize tariffs .